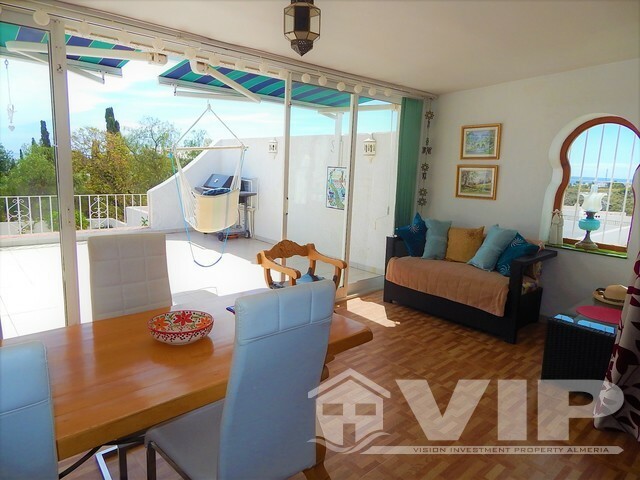 A spacious and attractive 158m2 detached villa situated in a residential area of Mojacar Playa with excellent views of the sea, mountains and campo. 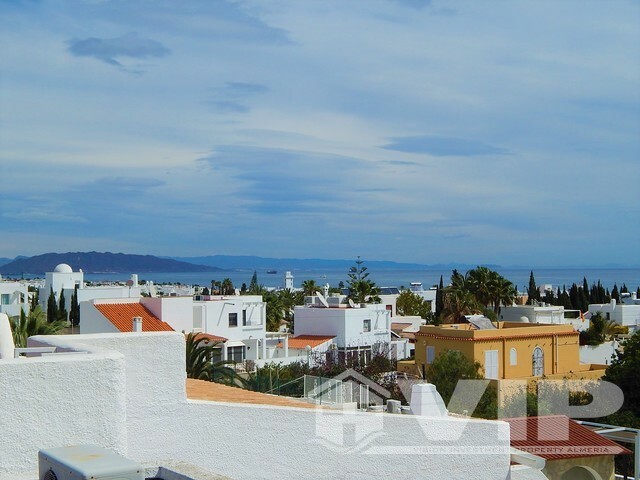 Calle Lucinda is a highly regarded street in the Playa Vista de Los Angeles area of Mojacar Playa. 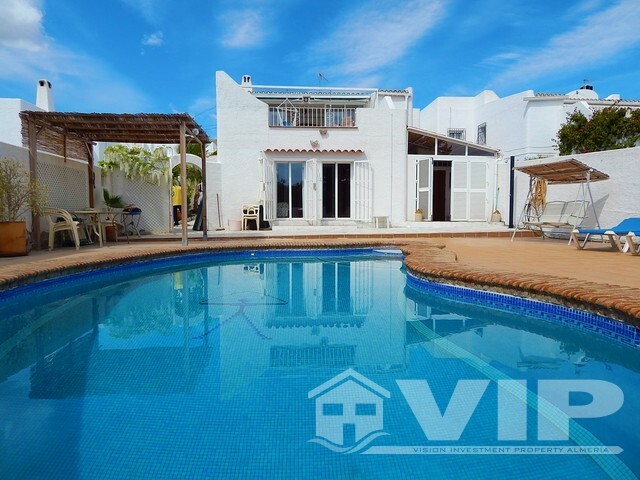 It consists of Linked and detached villas which are luxury holiday homes or full time use for all year round living. The chiringuito beach bars in this section of the beach, do tend to close in the winter months, though there are still quite a few places that remain open all year round. The infrastructure in this area is excellent with 3 supermarkets, shops, cafes, banks and a commercial centre all within easy walking distance. 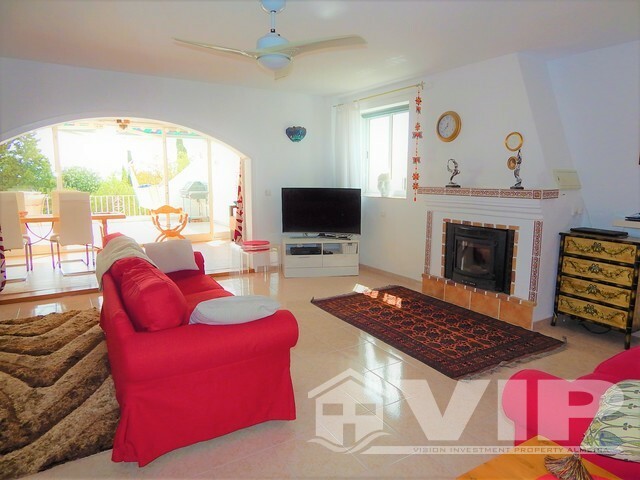 Within close proximity of all services and amenities this well presented detached villa consists of: Electric gated entry with off street parking, numerous terraces and low maintenance gardens. 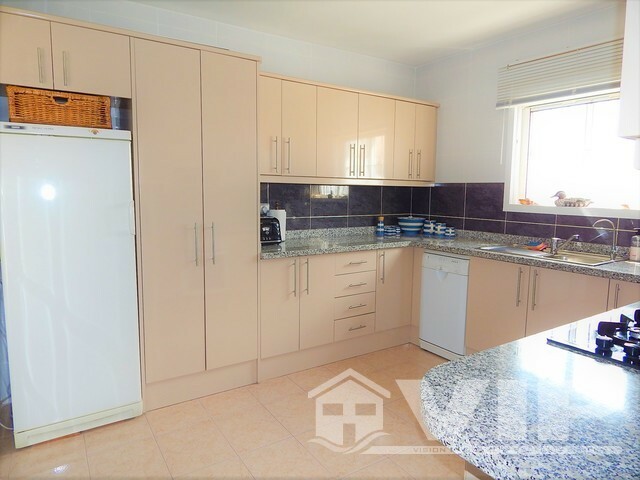 The property comprises of an entrance hallway, to the left a fully fitted and well equipped kitchen with costumed cabinetry, adjoining a separate spacious utility / larder. 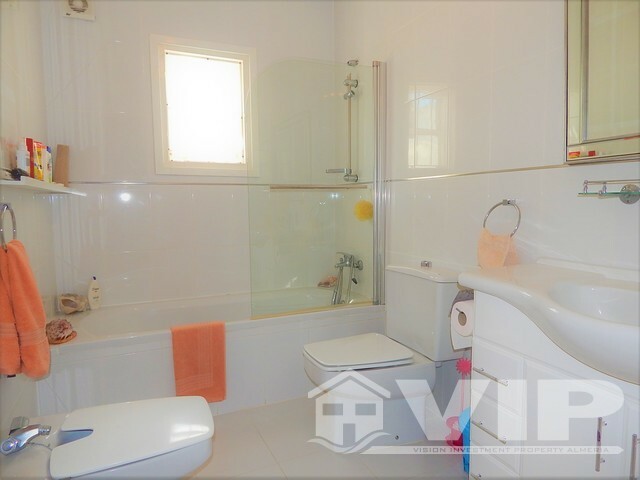 To the right, is a Jack and Jill style bathroom with shower which has access to the garage which is currently used as a 4th double bedroom / office and is perfect for a person of limited mobility. The garage area can be easily returned for parking / workshop use or a “mancave” due to its size and ease of access. 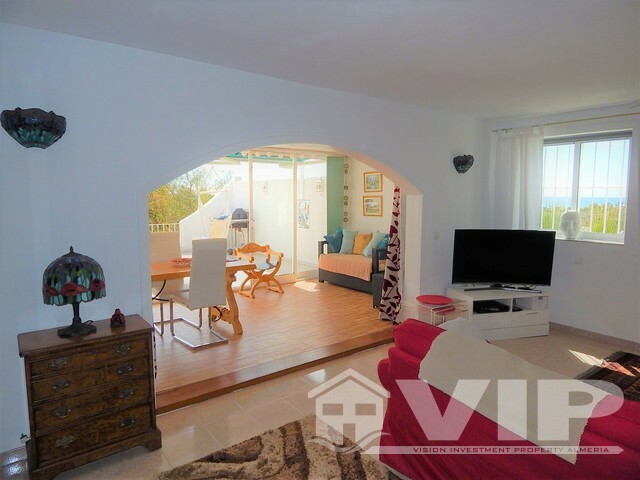 Back into the hallway leads to large living room with feature pellet fire and access to the open plan dining room with views to the private gardens, coastline and pool via the floor to ceiling glass doors and large sun terrace. The layout of this property is fantastic. 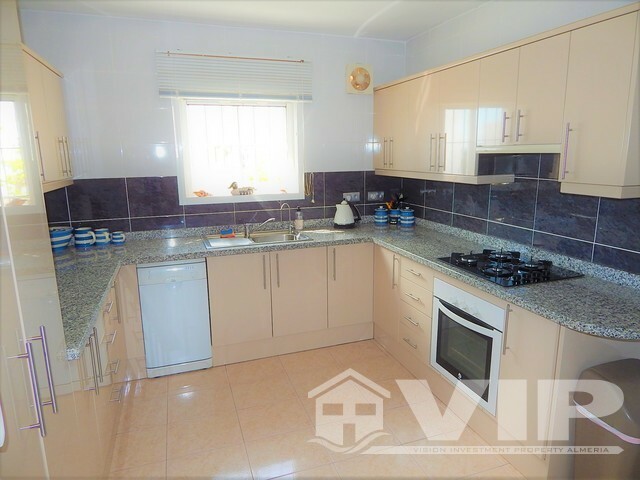 It has a large fully fitted kitchen, 4 double bedrooms and an additional level access bedroom (garage conversion) so it is perfect for all year living. 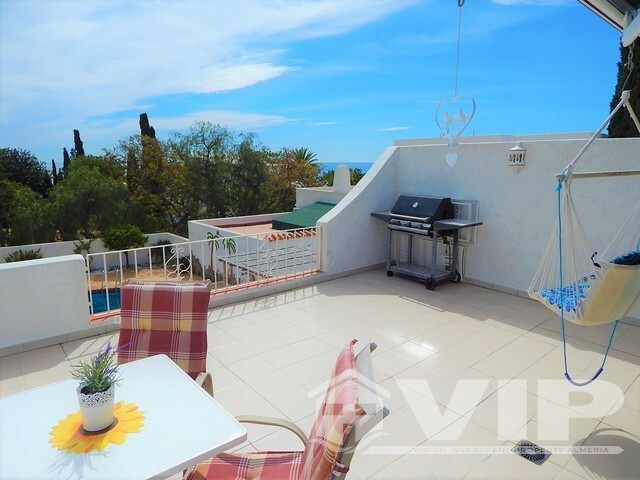 There is an external staircase leading up to the roof where you could easily make a large solarium or add on an additional level to the villa of around 55m2 if required. 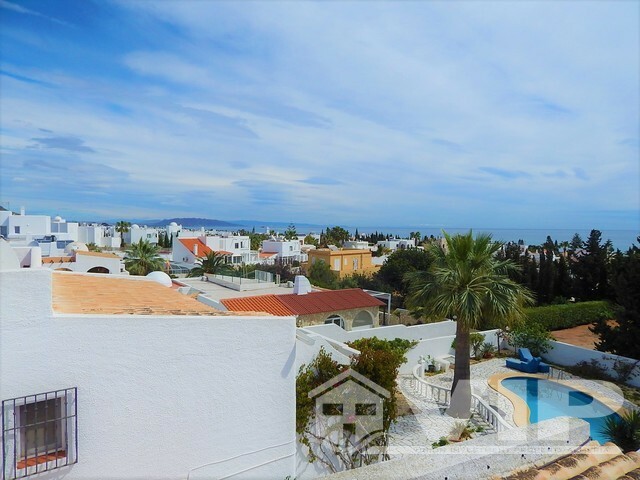 There are excellent views of the sea, campo and La Paratá from this level. 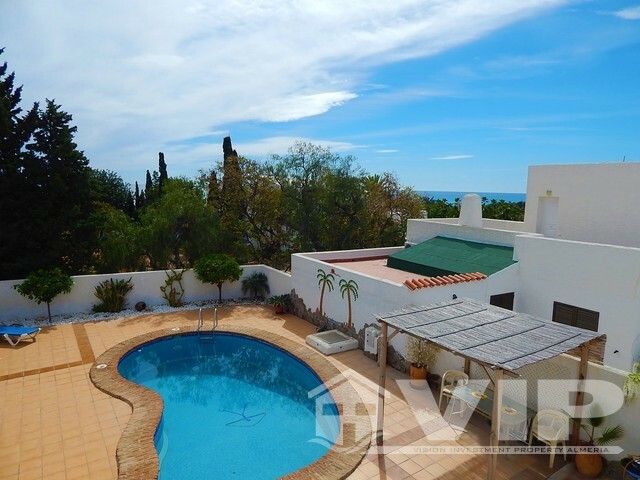 On the lower level, it is all about the sleeping quarters, consisting of 3 double bedrooms on the ground floor with two overlooking the south east private pool (8x4metres) providing direct access by patio doors from the guest double bedroom & twin bedroom. The master bedroom comprises of one king size that benefits from an ensuite bathroom and walk-in wardrobe / changing area. 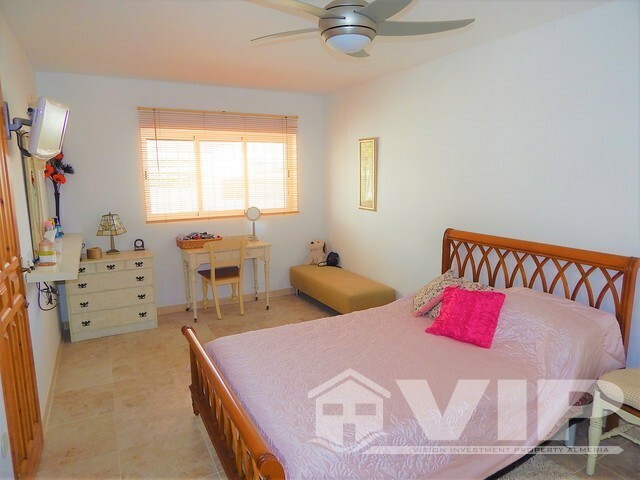 Having the bedrooms on the lower level is a traditional Spanish style for less heat in bedrooms during summer. All bedrooms have fitted wardrobes and there is hot and cold air conditioning in all major rooms. 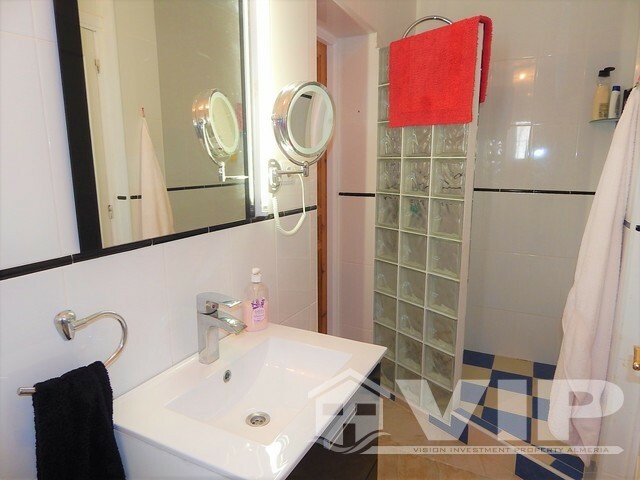 This is a fantastic house which was constructed with high quality fixtures and fittings. 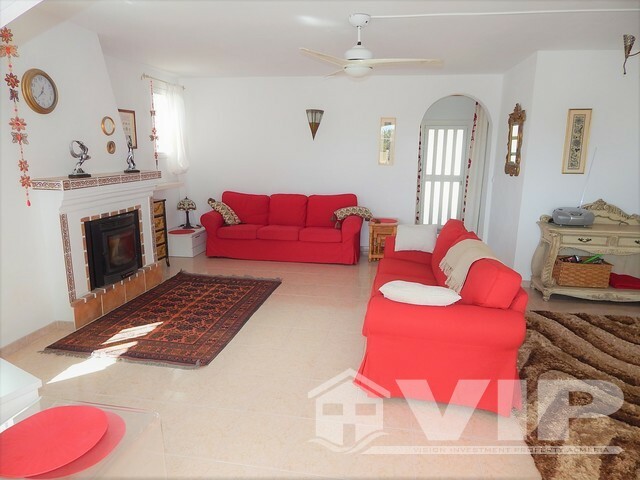 The private garden areas are tiled on an area of 500m2 with storage. When considering a property for full time use or lock up and leave, this is one of the best options listed on the market. This house is in excellent condition and offers privacy in a coastal location that is priced to aid a quick sale.